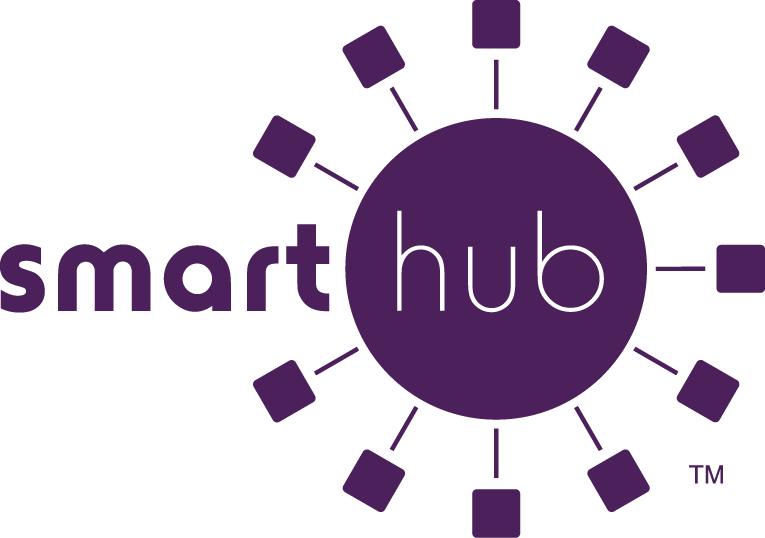 SmartHub is your online portal to manage your ACEC account(s). This includes viewing billing and payment history, enrolling in auto pay, updating personal information, viewing your usage, reading monthly publications and so much more! Don’t forget to download our FREE app in the App Store or through Google Play. Click the “New User? Sign up to access our Self Service site” hyperlink. 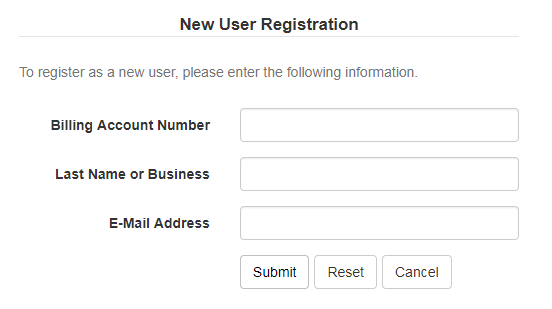 Enter your account number for your ACEC account and last name or business name associated with that account. Enter a valid email address. This will become your username. Did you know you can print copies of previous bills and review your payment history up to one year? Billing History displays information such as the billing date, total due, adjustments, and allows you to view a PDF of your bill and usage via graphs. Payment History will tell you when you made a payment, the amount, and payment method. Paying on your account(s) is simple and easy with SmartHub. Simply click “Pay Now” in the top right corner of your screen and SmartHub will walk you through making a payment step-by-step. You can pay your entire balance due, make a partial payment, or pay a specific amount, for one account or several. SmartHub will become your favorite tool when it comes to evaluating your electric usage! You can view your usage with the three different charts below. 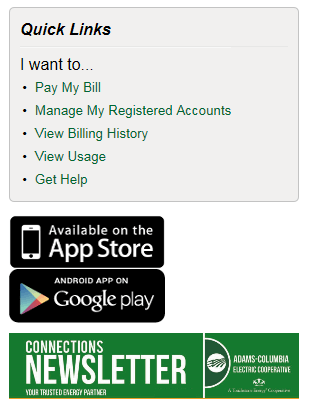 Weather, number of days in your billing cycle, electric usage, daily information, and more can be viewed here. Compare usage month-to-month or to a previous year all with the usage graphs available in SmartHub. For Terms and Conditions of Enrollment, click here. A stored payment means that when you go to pay your bill each month, SmartHub will remember how you paid your bill and already have your information stored to click on. Did you know that you can receive notifications via text or email on a variety of things about your account? Once logged into SmartHub, go to Notifications, then Manager Contacts. We want to make sure we have your information correct first. From there, go to Manage Notifications and select what you’d like to be notified about and how. Bill Available, Payment Confirmation and Auto Pay are just a few notifications you can receive! If you need help setting up your notifications, give us a call at (800) 831-8629 and we’d be happy to walk you through the process. You can also sign up for Operation Round-Up through your SmartHub account! Operation Round-Up is a program where you can round your bill up to the next even dollar amount and your spare change is contributed to Adams-Columbia Community Fund, where the monies are used for local projects and charities within Adams-Columbia’s service area. For more details on our Operation Round-Up program, click here. Under the “My Profile” area, you are able to update your email and password for logging into SmartHub, mailing address, phone number, security phrase, description for your meter (example: garage, house, shed, etc. ), and your printed bill setting (to receive your bill on paper or electronically via email). The convenience of updating your own information saves you time and ensures all of your information with us is correct. This option gives you the opportunity to vote for your Board of Directors, even if you aren’t able to make it to the Annual Meeting. Take advantage of this voting option to make your voice heard! 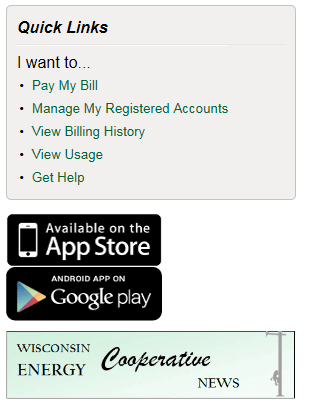 Each month, our Connections Newsletter and pages we put into the Wisconsin Energy Cooperative News magazine are uploaded to SmartHub. This ensures you are still receiving the important information we communicate to our membership every month. When viewing from a laptop or desktop computer, the inter-changing buttons are located under “Quick Links”. Give us a call at (800) 831-8629 and one of our Customer Service Representatives will be happy to help walk you through all that SmartHub has to offer.